New Caledonia is located about half way between Fiji and Australia. 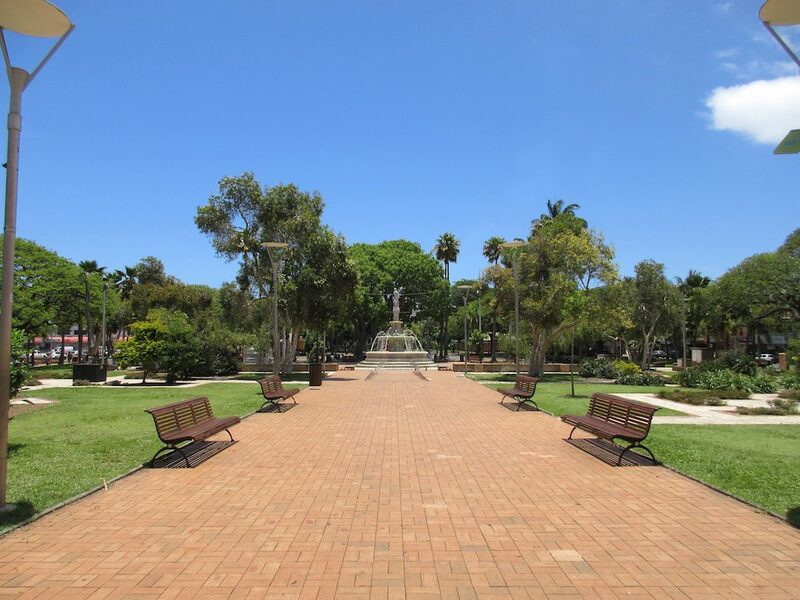 Noumea is the capital and the largest city of the French special collective of New Caledonia. It is situated on a peninsula in the south of New Caledonia’s main island, Grande Terre. The majority of the island’s European, Polynesian, Indonesian and Vietnamese populations live in this town. Some of the people are also black. They work here in the South Pacific’s most industrialized city. The population of the city and its surrounding area is about 180,000 people. The local language spoken is French. During World War II, Noumea served as the headquarters of the US military in the South Pacific. We took one of the local hop-on, hop-off buses that transported us along the coast to see some of the beautiful sand beaches and made stops at the local market, the aquarium and the museum. The entire round trip took about 45 minutes to complete. On the second loop around we got off the bus at the morning market where we saw many booths selling local handicrafts, clothing and souvenirs. 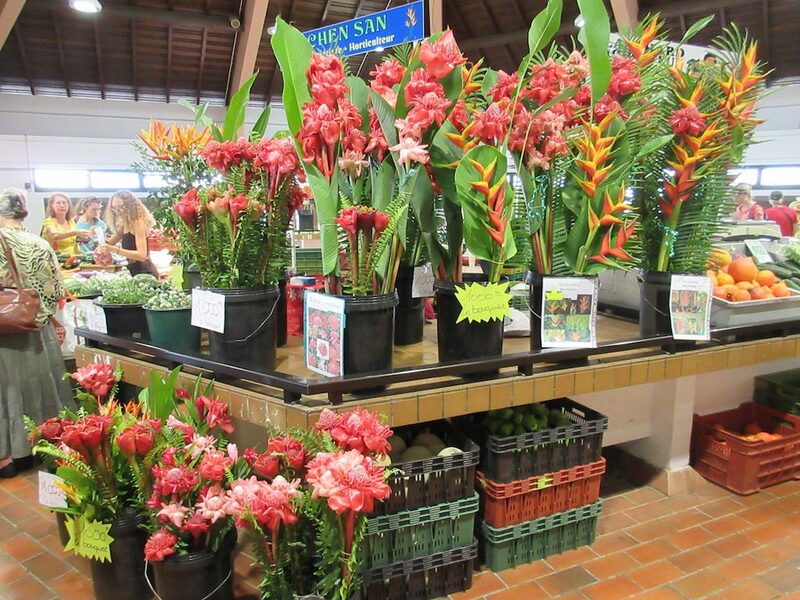 Inside several buildings they were selling fruits, vegetables, meats and flowers. Not much of the architecture reflected the French influence. We then walked through the city passing war memorials, old penitentiary buildings now converted to government offices and then on to St. Joseph Cathedral. 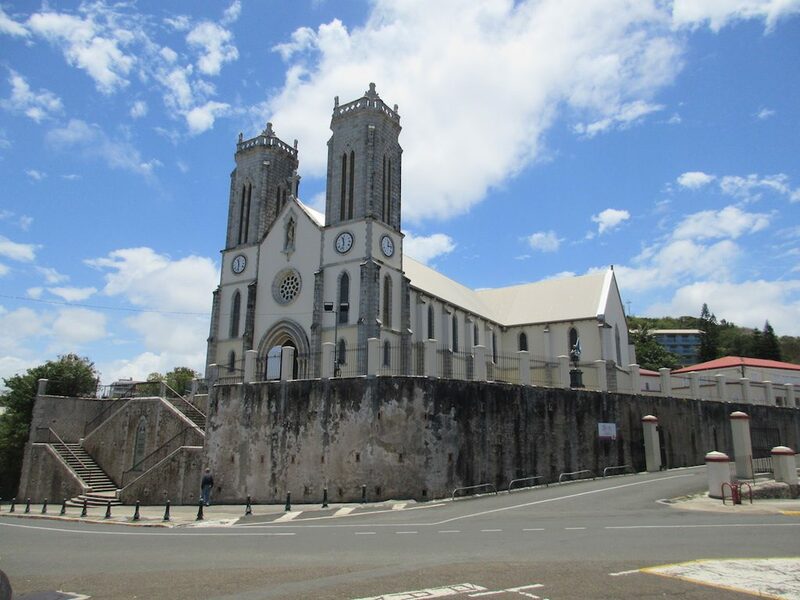 This Roman Catholic cathedral has been the seat of the archdiocese of Noumea since 1966. The cathedral is perched high enough up the hillside to capture views of the harbor and ocean. The interior included some colorful stained-glass windows and a fairly simple altar. 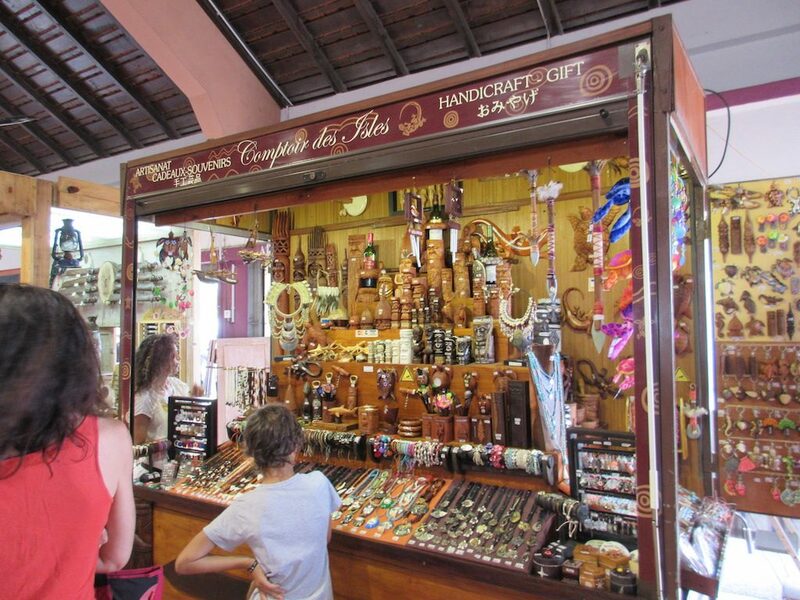 The center of town is the location of a very large park called Place des Cocotiers or Coconut Tree Square. Surrounding the four block-long square are many shops selling jewelry, toys, clothing, food items and restaurants. It was a Saturday when we visited and several shops had tables set up out front where they would wrap your holiday gifts. We took one more loop around town on the bus before returning to the ship for lunch in the early afternoon. Our all-aboard time was 4:00pm so that we could have a mandatory muster station drill (life boat drill) before we sailed. We had dinner with a young man on the ship traveling alone by the name of Stewart. He had intended to sail with his girlfriend but she had gotten a new job and was unable to join him. He was then planning to sail with his grandmother although she got sick and was also unable to join him. He is a computer coder working in New York City doing cyber security work. We enjoyed spending time with him and learning a little more about his life. The evening’s entertainment was a vocalist and comedian impressionist by the name of Tricia Kelly. She sang a huge variety of songs from a vast number of artist impersonating each of them. She has a great voice and a lot of energy.